These flowers make a very attractive display! The dusky-red flowers have a golden suffusion that graduates into the white margins of the petals. 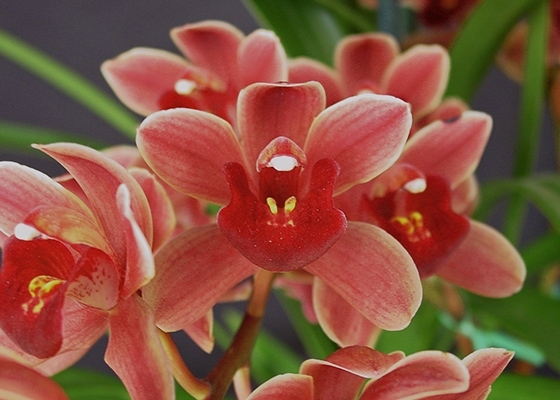 The remarkable lip of this bloom is one of its key features: it is velvety, solid crimson with bight golden callosum. The spike habit tends to produce an arching to cascading presentation. .Temperature Tolerant. January - February blooming.